December 9th 2016 - NALI has learned that White Knight Laundry Services were placed in administration yesterday and have ceased trading. Their website bears the message "The Company is in Administration and is no longer trading.The affairs, business and property of the Company are being managed by the Joint Administrators." We hope to have more information on the situation shortly, and extend our sympathy to the employees especially considering the time of year. 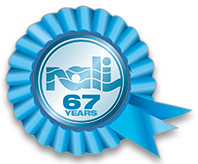 Some NALI members have already been approached by affected customers seeking an alternative laundry provider.